Estimated Departure from San José: 6:30 a.m. Estimated Return to San José: 12 m.d. The Irazu Volcano (Volcán Irazú) is situated in the Cordillera Central just a few kilometers from Cartago, and it is a relatively short and pleasant drive from the Capital city of San Jose. The trip begins by ascending the breathtaking summit of the Irazu Volcano, passing all types and forms of vegetation, from coffee plantations, to ferns, depending on the elevation. The trip leads up to a spectacular view of the massive crater which is home to a lagoon with a mystical green hue surrounded by jagged rocks. It should be mentioned, that on a clear day you can actually see both the Atlantic and Pacific Oceans! 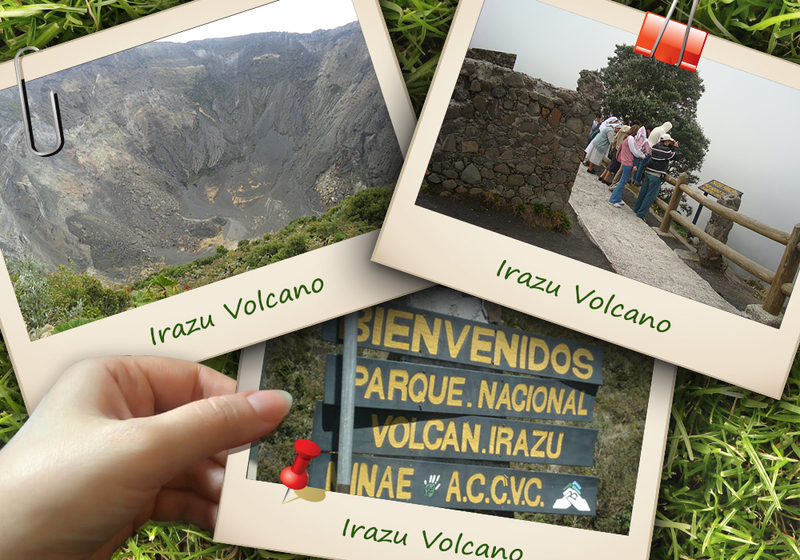 After an exciting tour of the volcano, we will descend to the historical city of Cartago. Here will visit the mysterious ruins of the old Parish and take in the beautiful Basilica of our Virgin of Los Angeles (Virgen de los Angeles) with rich displays of carvings, statues and other art. So book go ahead and book your trip, and partake in this popular and enjoyable tour.